The 2018 All Star Break is over and teams are back from the break. The second half of the season is here. Baseball has rounded the corner heading towards the homestretch. Going into the dog days of summer, we get to watch the battles for claiming a playoff spot. The closer we get to October the more it heats up. The season’s first half had some memorable moments like getting to watch Japanese superstar Shohei Ohtani pitch and hit for the Los Angeles Angels. The two games in Puerto Rico between the Indians and the Twins. 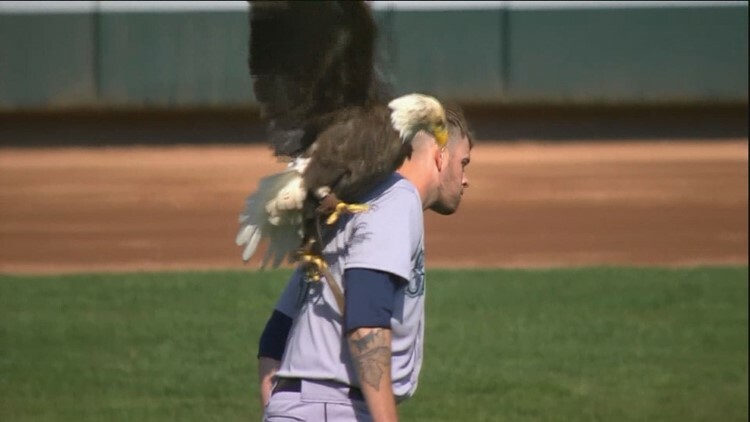 Albert Pujols joined the elite 3,000 hit club and who can forget the Seattle Mariners pitcher James Paxton pre-game encounter with a bald eagle. Below are your current standings with half the season still remaining. How does your team look? I think it’s time for some teams to begin the we’re waiting for next year spiel. Count out the Baltimore Orioles in the AL East and that was before they traded away Manny Machado to the Dodgers. The other teams I think can start scheduling their Octobers are the Toronto Blue Jays, the Texas Rangers, and the Kansas City Royals. The best races coming in the AL West where the World Series Champs are going to have their hands full with the Seattle Mariners and the Oakland A’s. The NL West is going to get interesting as the Dodgers, Diamondbacks, Rockies and Giants all sit just four games apart. The Dodgers made the biggest deal of the season acquiring shortstop Manny Machado which should impact that Division race. And let’s not forget the NL Central where the Milwaukee Brewers are challenging the Chicago Cubs for the top spot. Each team will have their fair share of injuries and deal with trade rumors going down the stretch. The late season trades will tell us which teams want to solidify their spot in the playoffs. Every single game of the 162 game season counts. I have a feeling we’re in for an exciting second half of baseball. I think it will be one that sizzles.